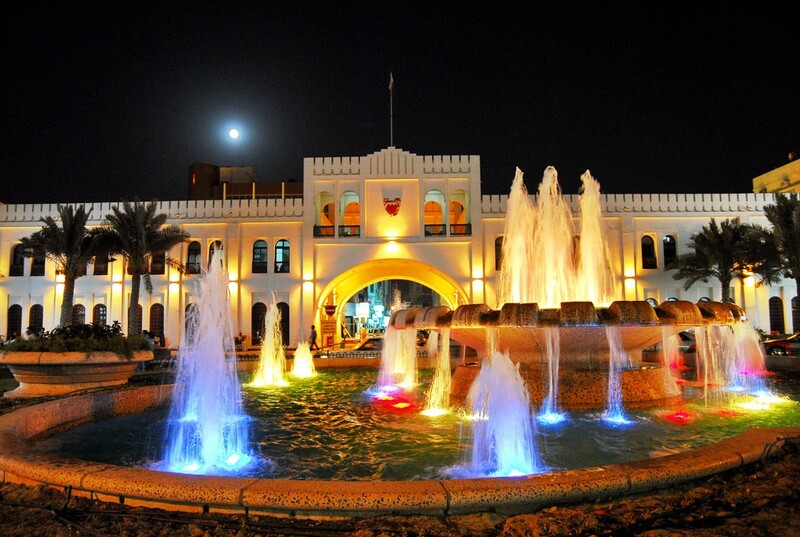 Bab Al Bahrain is a historical building located in the Customs Square in Manama's former central business district. It marks the main entrance to the Manama Souq. Designed by Sir Charles Belgrave, adviser to the Emir and completed in 1949, Bab Al Bahrain once stood close to the water's edge. Due to extensive land reclamation in the later years, the sea is located a few kilometres north. Government Avenue, which runs alongside Bab Al Bahrain, and the new highway that leads to the causeway to the Kingdom of Saudi Arabia were built on reclaimed land. The Bahrain Financial Harbour is being constructed on further reclaimed land. The monument itself was refurbished in 1986 to incorporate Islamic architectural features.Today, the ground floor now houses the tourist information office and a handicrafts shop. The monument essentially consists of a huge arch, below which runs a road, which is often referred to as the entrance to the Manama souq (marketplace). Government Avenue, which runs in front of Bab Al Bahrain, contains many major banks and business establishments. Government Avenue is so named because the entire offices of the Bahrain government were once housed here. The Gold City (different from Gold Souq) is a shopping complex for gold ornaments and is also located on Government Avenue. The Indian jewellery retailer Alukkas has a branch in Gold Cit.